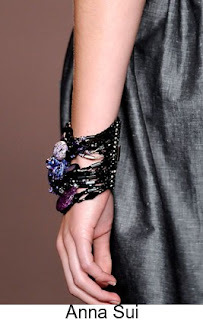 Throughout the ages bracelets have always been popular and the styles seem to have varied according to dress styles. 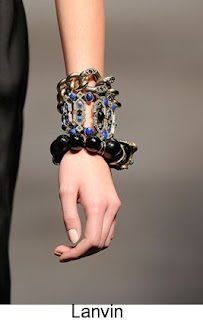 In Grecian times bracelets were popular with men and soldiers who wore defensive bands of leather, often decorated with gold, silver and or gemstones, on their forearms they were called Bracels. 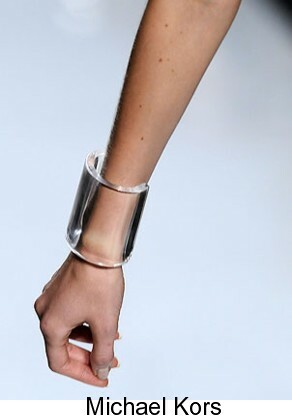 When women caught on that these Bracels would look great on them, they started wearing smaller versions, called little Bracels...or ‘Bracel-ets.’ Today, bracelets are worn by both men and women in a variety of materials such as traditional precious metals like gold silver and platinum. Modern plastics and acrylics are now much used to make trendy, unusual bracelets as well as metals. Whatever your tastes and whatever your budget, there is an enormous choice of bracelets and bangles to suit everyone. and the look for this season is big chunky and stacked. 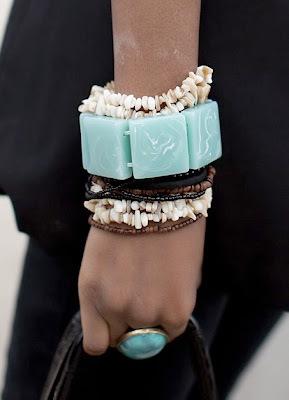 bracelets are a great statement of style! 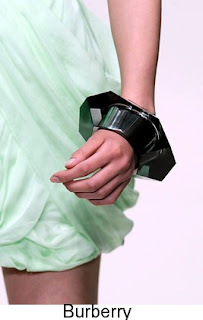 The bulkie bracelet look is a hot item right now. 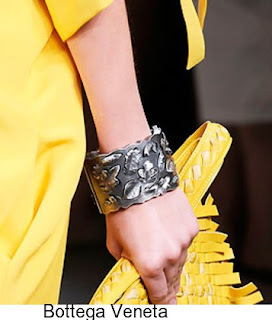 I love bracelets and have always wanted a Hermes. 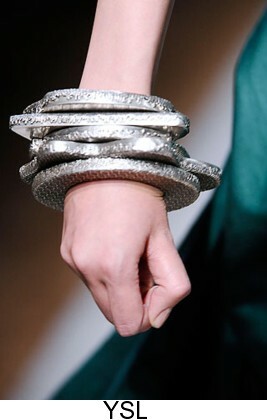 absolutely love stacking bracelets, I love the pic's! i love the gaultier look it's powerful! 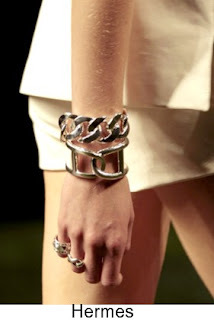 love the post and these bracelets are art pieces..